Shaw is a killer for a unnamed secret International Intelligence agency. An orphan when abandoned by his mother at age two, Shaw has no recorded first name. He took the letter A as his first initial only because it happened to be above his bed at the orphanage and it was better than nothing. He never bothered to put a name to it. For several years he worked as a freelance agent for whichever Western power needed him. Then an encounter with Frank Wells, who thought Shaw might be working for the other side, went badly for both of them. Wells tried to have Shaw killed but ended shot in the head, nearly dying. Shaw saved Wells' life but was rewarded with a promise of many years in prison unless he worked for the agency. As the series opens, Shaw is ready to retire. He had been told when he first started that his servitude would last five years. He had already worked six years before the first book and felt that was more than enough. Wells's superiors did not agree. Even as they moved towards an unpleasant impasse, the trouble documented in the first novel put them on the same side again, albeit without any warmth. Shaw is, according to Wells, the best he had ever seen in the business. Practically fearless, he knows how to get out of most impossible situations and for those he doesn't know, he improvises. Shaw believes, however, that he is so good partially because he no longer cares what happens to him. Even the threats of what would happen to him should he quit without permission did not faze him except for his immense dislike for being pushed around. He had had enough of that as a child in the orphanage. As an adult capable of killing in dozens of different ways, it was not going to happen. The incredibly wealthy arms dealer Creel has more than increased profits in mind when he fabricates evidence to force a return to the Cold War. Shaw was not yet interested when the plot called for an attack on Shaw's fiancee. Now he has a reason to hate. Shaw is on the trail of a monster who is moving from trading in white slavery to trading in nuclear weapons. A complication though is the man is also a murdering former KGB leader who is also be stalked by those wanting him to answer for those crimes. He plans to answer to no one. The concept of an agent, at the top of his game, who is tired and wants out but won't be released by his employers is not new. 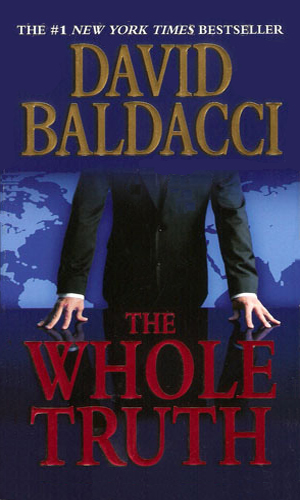 What the incredible Mr. Baldacci brings to the storyline is an incomparable skill at grabbing you and not letting go. You quickly learn to like Shaw. You feel his anger and frustration but you also take considerable delight in knowing how badly it is going to end for those who cause him trouble. I am a huge fan of his other spy series, the Camel Club. This series is quite a bit different but just as good. Throw in his non-spy series about Maxwell and King, and you have three awesome series coming from one awesome talent. Naturally, that makes you want more and then you have to think about which you want next - another Camel Club, or Maxwell/King, or another Shaw. Luckily, we have no real say in the matter. 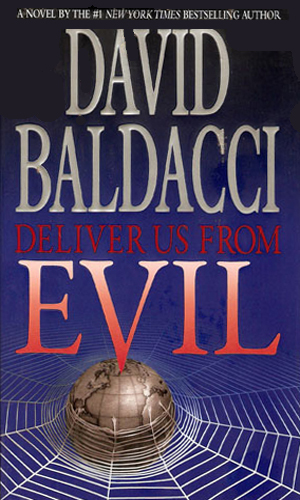 We have to leave it in the hands of Mr. Baldacci. He won't disappoint us. I don't think he can.